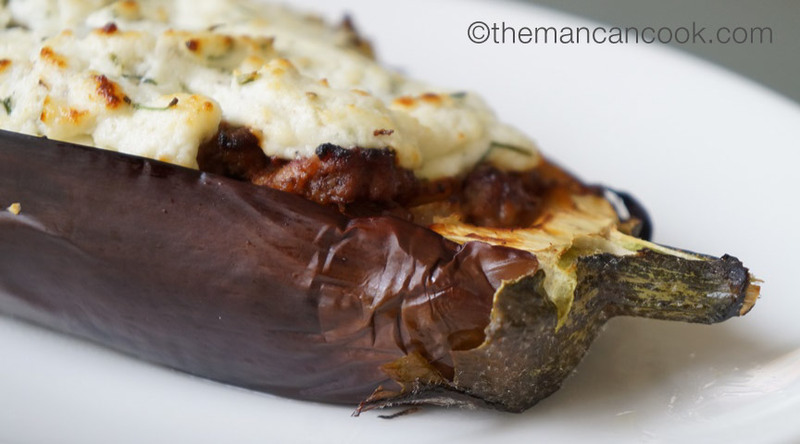 Eggplant contains 3g net carb per 100g. Need I say more..!! Many keto’ers would be familiar with this versatile vegetable. Well known in the low carb scene; it’s a great basis for dips and moussakas alike. This is one staple recipe to add to your weekday low-carb repertoire, you’ll find this dish often frequenting my kitchen bench! The goats cheese adds an additional source of fats, as well as a crispy texture when grilled. It’s fairly simple to replace carbs in many common meals, often people would use potato or rice to accompany mince – here we’ve just substituted carbs with vegetables, and added an extra fat in there. Simple. 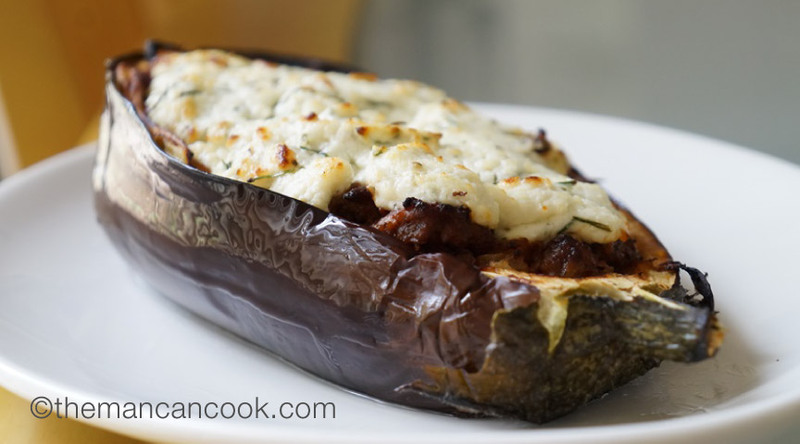 With a fast prep and bake time in the oven, my eggplant bake is a flavour blast won’t play havoc on your blood glucose, and leave you feeling full. Enjoy, and keep up your keto consistency! Cut the eggplant in half, and take the center out with a spoon. Then drop to 180 °C / 355 °F and blind bake (i.e. the scooped eggplant without anything in it!) the eggplant in the oven for 15 minutes. Chop the chives into small pieces, and hand mix – together with the Goats Cheese – in a separate bowl. Fry onion in 20ml of olive on on medium heat. Add mince, then garlic, later seasoning with salt and pepper. Stir and let cook until the mince is brown. Stuff the eggplant with the filling from the fry pan, placing the cheese ‘n’ chive mix on top. Note! Place the assembled food back into the oven and let grill for 5 minutes! The texture of this dish is really bang on, and will make a hearty filling dinner.